One item almost no one should have for their nursery is a baby monitor. What is the purpose of these devices and how does the intended purpose actually nullify the need for a monitor? 1- To hear when baby wakes up. My thoughts: Mama, not baby should determine the schedule. It is not necessary for mother to run to grab baby the second he makes a peep. It is good for baby to have time alone to play and wake up. It is not necessary for mother to hover every single second. The crib is a safe environment and waking up an ideal time to learn and practice all these things. Establishing the schedule and mother's control over the schedule is key to a baby who is well-fed, not fussy and sleeps well. In setting this principle from day one you are not only guaranteeing babies needs are met but you are setting an important principle which will carry you through your entire parent-child relationship until you little one is grown. I very strongly believe, and have had success times 9, in keeping babies on a schedule. 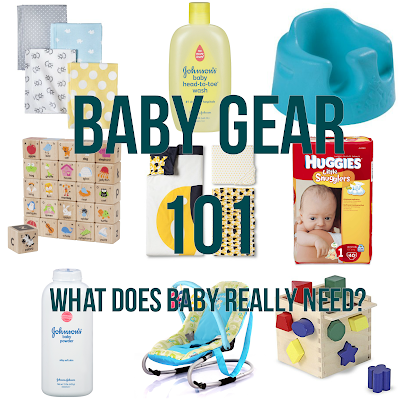 Again, this allows us to know what baby needs and when. And in Addison's case, his entire medical and therapy team have agreed, it was the only reason he was able to establish nursing, gain adequate weight and thrive despite his dysphagia and undiagnosed posterior tongue tie. 2- To keep track of baby during playtime. My thoughts: When baby is not in bed she should, in theory, always be within ear shot and visible to mama. This does not mean you are entertaining or fiddling with baby during all waking hours but that baby is in a place where she can hear and see you and vice versa. This is a huge part of baby's development as she gains much knowledge and many skills from observing the people around her. You will naturally develop a habit of talking and singing together during your separate activities which will develop into a life long running commentary between mother and child, and mother and teenager, and mother and adult. In this way we have developed endless open communication with our children which I feel is 99% responsible for the close relationships we share with our them. Which, I feel is very much responsible for the good choices and solid foundation our children have. In regards to monitors then, in addition to interrupting these two important parts of parenting your baby, I believe monitors are detrimental because they interfere with the natural sleep rhythms of both parent and child. All babies make noise in their sleep or upon waking and during the process of falling back to sleep. God has designed mothers to be in tune to their babies sounds and noises. Each and every little noise causes you to wake up thereby disturbing your sleep. And even if that was all, it is a constant disturbance to your sleep which causes sleep deprivation and can cause you to be less alert and moody. That, in my opinion, is enough reason not to own a baby monitor. However, it goes further because it doesn't stop there. You respond to babies noises. This usually takes one of two forms. A- you feed her. This not only disturbs her sleep, it confuses her hunger patterns and leads to unhealthy habits for your little princess. B- You soothe baby back to sleep. If baby is left alone she will, even from birth, naturally put herself back to sleep with little to no fussing. This is the natural sleep/wake day/night rhythm God has instilled in our bodies. However, when we put baby back to sleep (even by simply patting her back) we teach her to rely on help and props and make it difficult for baby to fall asleep on her own. This is a very bad and unhealthy habit which is prevalent in just about all babies in America. (Interestingly enough this is not the case in other countries). It is shocking how many mamas come to me to learn how to teach their babies to sleep when their little ones are a year or even two or three years old and still not falling asleep on their own or sleeping through the night. This is particularly upsetting because babies already know how to do this when they are born and we create a difficult, stressful and emotionally draining situation which must be overcome... one that would never have existed if we had let baby do what comes naturally from the beginning. Please, please, please note, because I know someone will use this advice and information in the wrong way... this sleeping through the night business applies to the healthy, typically developing child. There are exceptions to this rule and you need to be in tune to your chIld's needs. For the first few weeks of her life Carmella (who was born a month premature to this diabetic mama) needed a few ounces of formula during the night to keep her blood sugar stable. We woke her on a schedule for this feeding and then she went back to sleep on her own. Addison, likewise, because of his eating and weight issues had to be awakened during the night for extra feedings. I want to point out that this need to wake him up began around 18 months of age, which is unusual. Even though it is less urgent for him to be awake for feedings during the night he now regularly wakes up during the night wanting to nurse. He is still underweight so I use the opportunities when he is awake to get a few more calories in him. But glory be I sure do feel the strain of getting only a couple of hours uninterrupted sleep a night. I know it will be a long and unpleasant job of getting him to sleep through the night once again. And I am definitely not looking forward to the experience. The moral of this story is use every effort to allow baby to sleep through the night from day one and it is my opinion baby monitors interfere with that goal. I was really racking my brain trying to think of an application when a baby monitor would be necessary. The only good use I could come up with was a child with complex medical needs. Addison periodically stops breathing in his sleep. This becomes severe when he is sick. I think a baby monitor could actually be useful for such times. However, he sleeps in a bedroom with the two oldest girls and when he is going through a period of breathing issues we put his bed in our bedroom so we can monitor his breathing. And from other families we know who also have children with medical needs I believe they all tend to sleep in baby's room or bring baby into their bedroom when there is a medical crisis. Stop back tomorrow for a list of my essential baby items... and a few I just love to have even though they aren't really needs.